Game 1 is in the books and the Packers fall again to the San Francisco 49ers. Join Adam Czech (@adamczech), Kris Burke (@KrisLBurke) and Jason Perone (@jasonperone) from ALLGBP.com as they break down the 49ers game and look ahead to the week 2 matchup and home opener vs. the Washington Redskins and RG3. Our special guest tonight is Justin Felder, Sports Reporter at WLUK-TV, Fox-11 in Green Bay. Justin and the guys will tackle a myriad of questions; Can the Packers contain another mobile quarterback? Will they continue to improve? Can this team really run the ball? How did the 2 young offensive tackles fare? Tune in as the trio runs another “No Huddle 2 Minute Drill” with a 10-pack of rapid fire questions about the Packers. Join the writers at AllGreenBayPackers.com for a fast hitting discussion of all things Packers. 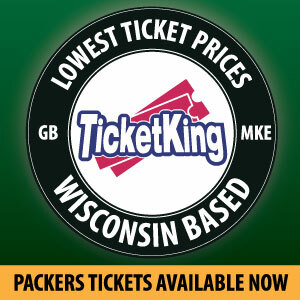 Please be sure to visit ALLGREENBAYPACKERS.COM, where we are “All Packers All the Time.” You can also browse Packers Talk Radio Network for more Packers podcasts and follow @PackerstalkNet and @NoHuddleRadioGB on twitter. This entry was posted in No Huddle Radio, Packers 2013 - 2014 Season and tagged 49ers, ALLGBP.com, Justin Felder, NFL, No Huddle, No Huddle Radio, Podcast, Radio. Bookmark the permalink.